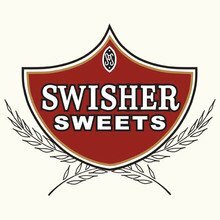 Swisher Tip Cigarillo has a great sweet taste, and the aroma will please those around you. The sturdy plastic tip keeps the smoke cool and delightfully smooth. It is available in 10 packs of 5. The cigarillos arrived undamaged. The unfortunate incident that delayed the shipping was disappointing, but it arrived within 2 weeks of the order, so not to bad. Customer service was great. Cordial and professional.